He is currently pursuing his PhD at CRSS @ UTDallas since Fall 2012. He has a Masters in Telecommunications Engineering and Bachelors degree in ECE. 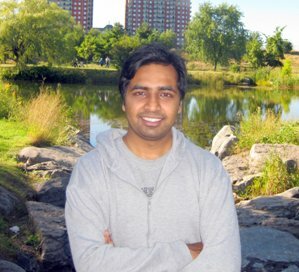 He was working at Nuance Communications Inc. from March 2010 - Sep 2012 as a Speech Scientist and later as NLP Engineer. His areas of interest is Speech Recognition, Acoustic Modelling, Natural Laguage Processing, Sentiment and Topic Detection.